The most recent issue of Revista de Derecho Social can be viewed here. 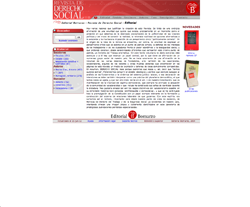 Past issues of Revista de Derecho Social can be viewed here. Subscription information can be found on the website of Revista de Derecho Social by clicking here.